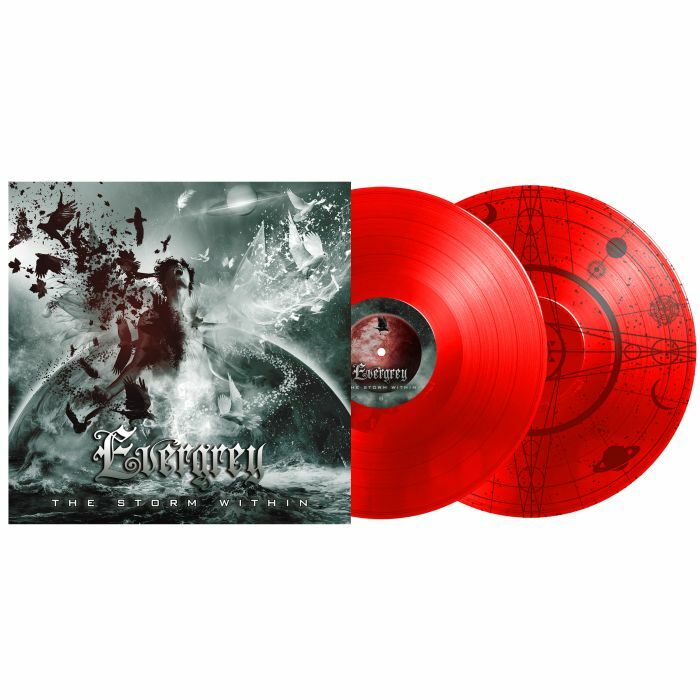 EVERGREY - THE STORM WITHIN CLEAR RED VINYL (2LP) | Online Shop | Wizard LTD. Album: "THE STORM WITHIN CLEAR RED VINYL (2LP)"
Summing up EVERGREY&apos;s new album ‘The Storm Within’ quick and to the point, the band is celebrating their 20th Anniversary with the strongest album of their career. While this may come off as music industry lip-service in honour of the Swedish quintet, anyone who has followed Evergrey will find it impossible not to become completely enthralled by the music on ‘The Storm Within’ within the space of the first listen. The band&apos;s trademark progressive, dark and melancholic elements are as strong as ever, the album ranks as one of the most progressive record they&apos;ve created in terms of performance, but Evergrey managed to put it in a package that is more accessible and direct compared to any of their nine previous outings. Frontman / founder Tom S. Englund credits Evergrey&apos;s learning-by-doing over the past two decades for the feel of ‘The Storm Within’, in particular their all-important ‘Hymns For The Broken’ record from 2014, which saw a revitalized Evergrey line-up return with a new energy. 09. The Paradox Of The Flame (Feat.